Human resources departments are becoming strategic partners within today’s organizations. No longer do they exist only to hire, fire, and pay employees. HR professionals are critical to an organization's long-term growth and development. As HR departments undergo a massive transformation, so is the HR outsourcing industry. By 2020, the HR outsourcing industry is expected to generate $53.9 billion in business, up from $42.6 billion in 2015. Why is this? 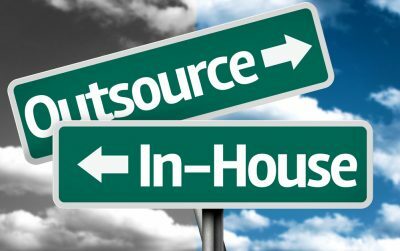 Why Consider Outsourcing for HR? With HR departments shifting from basic functions to strategic objectives, HR and management professionals are outsourcing specific tasks so they can focus on strategy, and thus growing the company. Outsourcing can comprise of menial jobs that save internal employees time to do more complex functions that protect the company from potential legal exposure. Additionally, outsourcing provides significant savings for the company. Compare an employee’s salary, benefits, and overhead to a fee that a service provider may charge to do the same job. Not only is the company coming out ahead financially, but the service provider is trained specifically for that niche. Health coverage returns reporting for the Affordable Care Act (ACA) falls into the category of legally complex. A company can prepare and report these informational returns itself, it can leverage a trusted ACA solution, or it can hire an outside service provider to help. However, if a company opts to have HR prepare these returns, without being experts in the area of the ACA, or without leveraging a trusted ACA solution, the company may unknowingly open itself up to legal and financial risk. Here’s what you need to know about outsourcing ACA reporting. How Do ACA Penalties Play into Outsourcing? The ACA is a long, complex law. Not only is it confusing, but it also carries some hefty penalties for non-compliance. Consider the monumental consequences imposed for failure to offer ACA-compliant insurance to employees of larger companies. How exactly are these penalties enforced? It all comes down to ACA reporting. In November 2017, the IRS began issuing Letter 226J notices to large employers required to offer ACA-compliant plans to their employees. This Letter 226J contains proposed penalty assessments for failing to comply with the employer mandate. Specifically, the letters address penalties for employers failing to offer ACA-compliant healthcare to their employees, whereby such coverage meets the affordability and the minimum value requirements of the ACA. Since November 2017, the IRS has issued more than 30,000 penalty letters containing approximately $4.4 billion of ACA penalties to large employers for the 2015 reporting year. The IRS is continuing to send out letters for the 2015 reporting year and has also started to send out penalty notices for the 2016 reporting year as well. Many of these reporting issues are just that—reporting issues, not coverage issues. However, employers have 30 days in which to respond to a Letter 226J and argue their case. The reporting requirements are getting more complicated as the law evolves. If employers attempted to complete their ACA reporting themselves for the early ACA years, they might find it more convoluted moving forward or just not want to deal with the stress. Additionally, if employers fail to keep comprehensive records of their health plans during the year, reporting mistakes are easier to make. Outsourcing this task may save the employer time, energy, and headaches, and allow the employer to focus on its core business instead. Enforcement of ACA reporting is here, and it’s not going away. Over the past couple years, the IRS has spent more than $2.8 million to improve its processes and procedures for identifying, notifying, and auditing large employers for ACA non-compliance through the Letter 226J notification process. There’s no doubt that the IRS will continually develop this course of action. With all the ACA’s complexities and potentially high legal exposure, why would a company want to devote time and resources to master the regulatory ins and outs of ACA reporting? Outsourcing ACA reporting is legally prudent. Mitigating and managing risk is positive. An employer must consider hiring outside assistance to complete complex, unfamiliar, and ever-changing mandates. What Are Some Key Questions to Ask Before Outsourcing? HR professionals need to act strategically. Choose a vendor that offers expertise, efficiencies, savings, and convenience. What is your experience in ACA compliance? What is your experience in ACA reporting? Have you helped any clients respond to a Letter 226J notification? Can you show us the tools that you use for ACA compliance and reporting? How will you manage my company’s account? Do I report to a team or an individual? What security measures (both physical and data security) do you have in place? What type of data recovery plan do you have? How will you migrate our data to your platform? What if our data is on different platforms, such as payroll, benefits, and human resources? What are your costs? Is there a base cost? 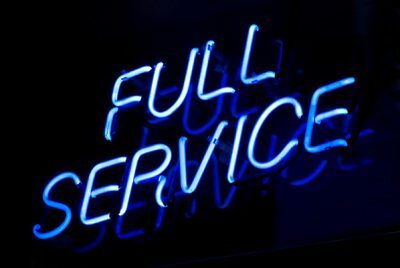 Are there additional costs for add-on services? Do you charge per participant? Can you provide a list of all fees? Whether companies decide to report themselves or outsource ACA reporting, employers must be cautious in keeping up-to-date data on their current health plan. Keep a record of all employees enrolled throughout the year. Documentation will come in handy at reporting time. Think you are ready for outsourcing ACA reporting? Integrity Data can do that with our ACA Full Service offerings. Or if you still want to keep things in-house, check out our proven and comprehensive ACA Reporting Solution. We can help if you’re transitioning from another reporting system, wanting to get away from too many spreadsheets, or if you’re brand new to ACA reporting.